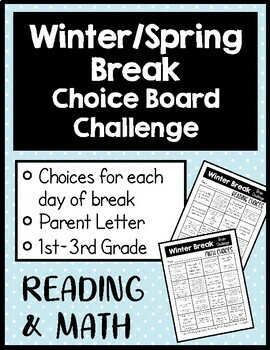 This product includes two choice boards for students to complete over Winter or Spring Break. 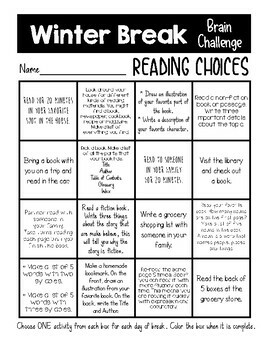 There are 16 Reading and 16 Math activities included on each choice board. 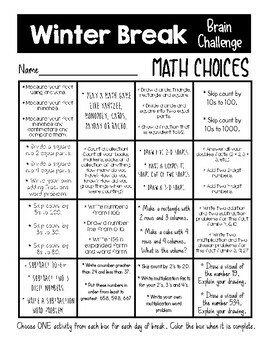 Students can complete one activity over each day of break. Many activities are differentiated to include different options and skill levels covering CCSS from 1st-3rd Grade. The Winter and Spring Choice boards are the same, the title is just updated. 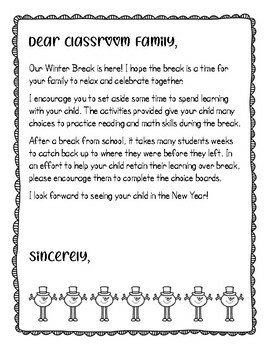 A parent letter is also included!